The Pro-Mark Select Balance series features balancing on the front or back-end to suit your preference. This stick offers a 3" "rebound balance" taper for increased response and rebound. 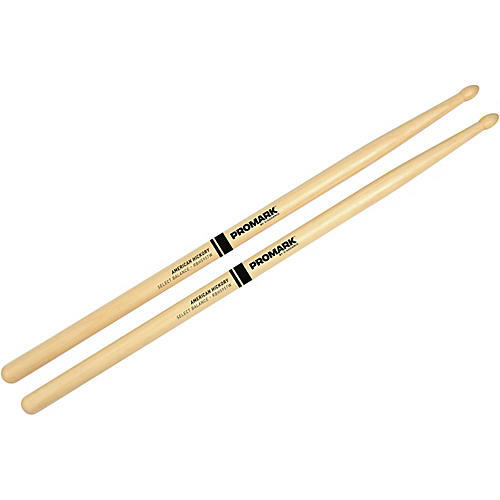 Available in five sizes, this stick is made of premium American hickory and features a redesigned teardrop tip. Each pair is sorted to within 1.5 grams and matched to within a quarter tone. All models feature a medium taper and a lacquer finish.